for the students at the Oure International College of Sport and Performing Arts/DK, contributing to the advancement of ballet in higher education. Most importantly, Theilade was instrumental in helping to establish ballet training in the first performance-based Dance Department in higher education in Denmark. Nini Theilade was born in Java, Indonesia. Her mother was the grand-daughter of the sultan of Jocjacarta, Java and herfather descended through two generations of Danish clergymen. 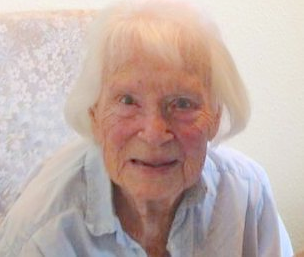 When Nini was nine years old, the family moved to Denmark where she began her early ballet training with Asta Mollerup, who inspired Theilade as a choreographer. Nini moved to Paris with her family and studied ballet privately with Swedish ballerina Carina Ari and Nadia Burosova. 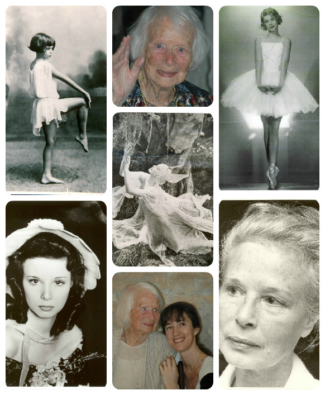 She also took classes with Lubov Egorova, where Anna Pavlova was taking classes. Considered a child prodigy, Nini embarked on a series of solo recital dance tours in Europe and America at the age of 14. At one of these recitals, Nini was discovered by Max Reinhardt, who cast her as Queen of the Fairies in his film, A Midsummer Night’s Dream. Nini choreographed and danced in this film, most notably the Nocturne pas de deux. At 16 years old, Nini was invited to dance some of her own choreographic works at the Royal Danish Theater in Copenhagen. Two years later, she worked in London as a “prima ballerina” and choreographer for the Regent’s Park Open Air Theatre. At Regent’s Park, Nini also organized her own small company for which she created her ballet, Psyke, with leading parts danced by Frederick Ashton, Antony Tudor, Robert Helpmann and Walter Gore. Returning to Denmark, Nini choreographed for and performed with the Royal Danish Ballet and at 21 years old she was awarded the Royal Gold Medal from the King of Denmark for her artistic achievements in ballet. Her personal and professional materials are now part of the Royal Danish Theatre Museum Archives in Copenhagen. Invited by Léonide Massine, Nini Theilade joined the Ballet Russe de Monte Carlo in 1938 and danced leading roles that were created for her by Massine. She was Massine’s partner in Nobilissima Visione and had solo roles in Bacchanale and Seventh Symphony. After the tour in South America, Nini left the company and during the war she returned to Europe where she continued to teach and choreograph. Nini is credited with introducing neo-classic and contemporary ballet to Denmark. In teaching, she insisted that her pupils learn the classical training and taught very strong classical classes, while her choreography she pursued her passion of a much more contemporary ballet style. She created several works for the Royal Danish Ballet, including Græsstrået, a ballet for television with electronic music in which a young Peter Martins danced. Establishing her own school of dance in Denmark, Dansk Balletakademi, Nini taught international students from as far away as Japan who came to study and work with her. Later, she established a dance school in Lyon, France that still bears her name, Academie de Ballet Nini Theilade, that also maintains an international dance program. Leaving France, Nini moved back to Denmark and spent twenty-two years focused on teaching and creating works for the Oure dance students. Her impact still extends beyond Denmark, as several of her students at the college are international students. After the Ballets Russes Conference in 2000, Jack Anderson and George Dorris went to Denmark to experience Nini Theilade’s classes at the Oure International College of Sport and Performing Arts/DK and were interviewed about her artistry in a wonderful article about her teaching. In September 2012, her works Anitra’s Dance (from Per Gynt) and A Study in Brahms were performed by the Oure dance students on the stages of the Tivoli Pantomime Theatre and large Plaenen Stage in Tivoli Gardens, Copenhagen. This was the first time that Tivoli allowed dance students to perform on these stages. She continued to teach and choreograph at the Dance Academy at Oure International College of Sport & Performing Arts/DK until August 2013. Still involved with ballet, Nini coaches the Oure dance students when they come to dance for her at the nursing home where she currently resides and when she watches them perform at the Dance Academy at Oure International College of Sport &Performing Arts/DK. Nini Theilade has been instrumental in bringing professional ballet training to the pre-university level system in Denmark and is an inspiration to her students as a great artist and proponent of ballet in high school, in pre-professional and college education.